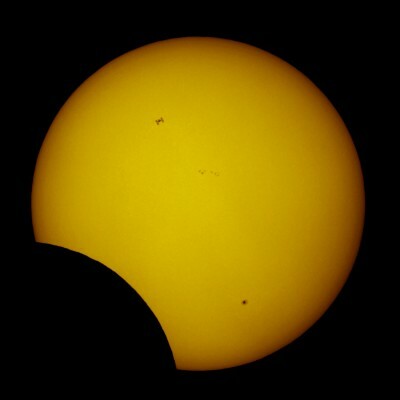 This is a photo from yesterday’s partial eclipse taken by Thierry Legault. In it, you can see the sun partially obscured by the moon and by none other than the International Space Station itself! Amazing timing. Click to zoom. The mark on the upper left looks like a Tie Fighter!